Hundreds of years ago, the Japanese discovered a simple truth; that to become a good swordsman you'll have to practice, a great deal. To become a great swordsman you'll have to practice with a live blade. And during the period between good and great, you should spend your time building your skills and confidence enough to wield a razor sharp Katana safely and effectively. To accomplish this, the Japanese relied on a simple wooden sword called a bokken for much of their training. It was made from the super tough wood of the Japanese White Oak, a wood they called Kashi. The swords produced from this wood had the advantage of replicating the size, weight and feel of a steel sword, while minimizing the possibility of causing grievous or permanent injury to those who used it. 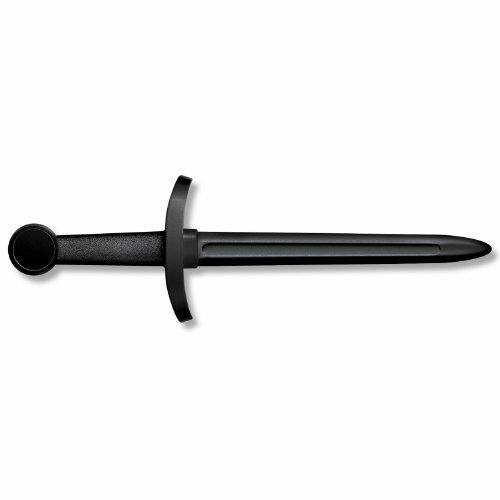 Our training daggar is made of the heaviest grade polypropylene available and closely duplicate a real Katana and Wakazashi in length, size, weight and feel. While they're not quite as rigid as wood, they have the advantages of being virtually unbreakable and remarkably stiff and cut resistant. If you have any questions about this product by Sports World Shop, contact us by completing and submitting the form below. If you are looking for a specif part number, please include it with your message.